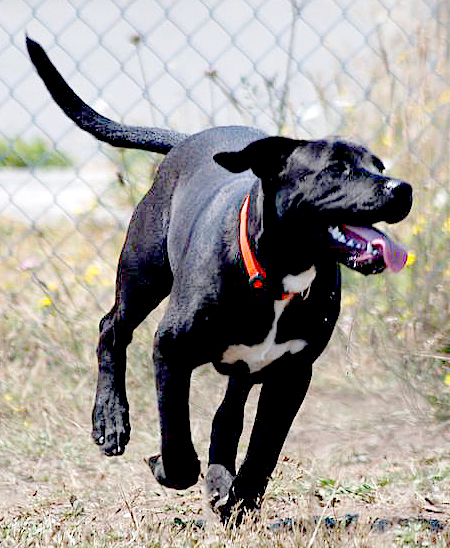 Jasper is a young Lab mix dog. At eight months old, he is an enthusiastic teenager! He loves to get out for a walk or to chase a ball and splash in the pool. Jasper has a lot of energy but is able to get focused when asked. He has attended three sessions of Sunday dog class and is learning his lessons well. He is working on heel and halt and would benefit from an owner that would want to continue to take him to school. Jasper is very attentive and eager to please and training him is a pleasure. He is also very affectionate and gets along well with other dogs. Jasper has been at the shelter since July 21 and his ID number is A064072. Like all the adoptable shelter animals, Jasper is neutered, micro-chipped and up to date on his vaccinations. Come meet this happy boy today! 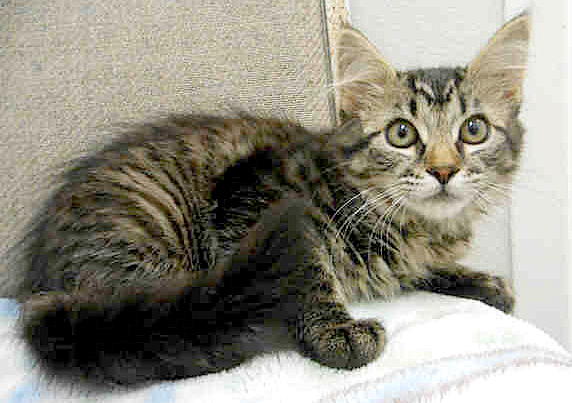 Angelica is a brown tabby domestic mediumhair. She is four months old and has been spayed. She arrived at the shelter on Aug. 12. Her ID number is A064287. For more information about Jasper and Angelica, call Humboldt County Sheriff’s Animal Shelter at (707) 840-9132. Animal Arcata is generously sponsored by Arcata Pet Supplies. Silver is a male cat who is approximately 4 months old. He was brought to Companion Animal Foundation by a wonderful woman who frequently rescues cats and she asked CAF for assistance. 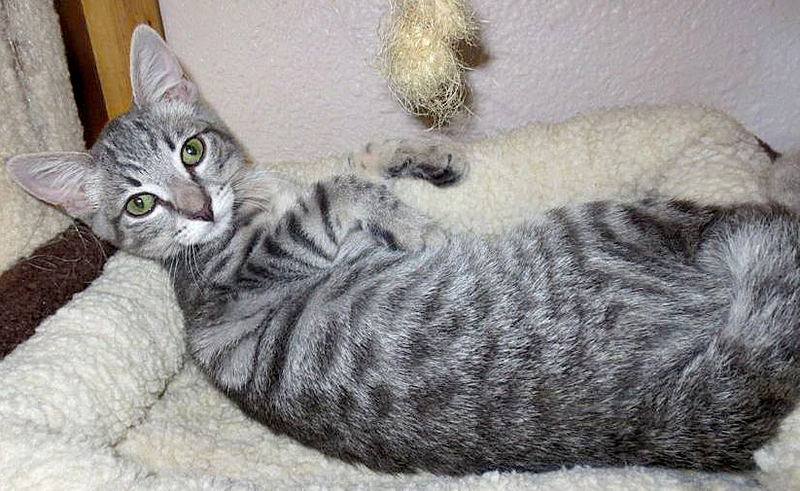 When first introduced into the cat room, Silver was more reserved and kept to himself, but now is such a social critter. He loves people and will purr instantly when you hold and pet him. He is such a sweet and handsome boy who will play until no end, but also wants to snuggle. Companion Animal Foundation invites those interested in helping socialize cats and dogs, in fostering adoptable animals or seeking more information on adopting, please visit CAF at 88 Sunny Brae Center, visit cafanimals.org or call (707)826-PETS(7387). This entry was posted on Wednesday, September 18th, 2013 at 3:42 pm	and is filed under Animals. You can follow any responses to this entry through the RSS 2.0 feed.